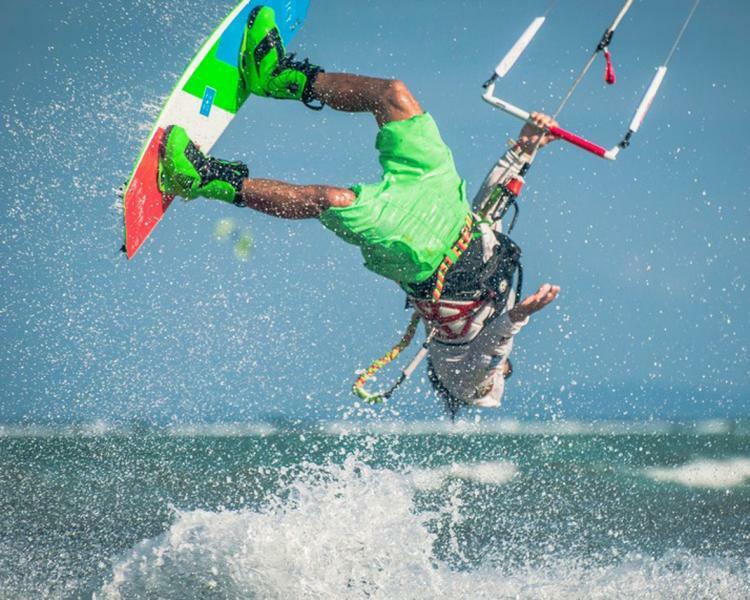 Kiteboarding and windsurfing require strong upper body strength to successfully manage these ambitious water sports in all conditions. At the same time choppy water, waves and smaller boards demanding balance and mobility. This has lead experienced and professional kite boarders and windsurfers to the practice of yoga as they jump, turn and twist themselves into all sorts of creative moves. Did you ever try the Crow or Side Crow? This asana ( posture) will definetly prepare all you need for your next kite or windsurfing session. The crow pose is a fantastic shoulder, arm and core strengthener while working on your balance. At Boracay Yoga the classes will focus on arm and core strengtheners while practicing the plank pose and a number of Chaturanges ( push up variations ). Shoulder openers or forward bends to increase flexibility and various twists to loosen and lengthen the spine will be introduced. All these movements will flow in sequence with a dynamic yoga style to improve stamina and endurance.